Stacey Earle has been with United Way of Salt Lake since November 2011. Stacey oversees all aspects of human resources, employee processes, and office facilities. She has been instrumental in building the team from 40 to 90 employees. Stacey has helped build a positive company culture resulting in recognition of the organization as one of the Best Companies to Work For by Utah Business Magazine for three consecutive years. Stacey has over 12 years of experience in small to mid-size companies and organizations, providing support and leadership to senior managers. Her broad experience includes benefits, employee relations, payroll, compensation, policy development, performance management, office management, and planning. 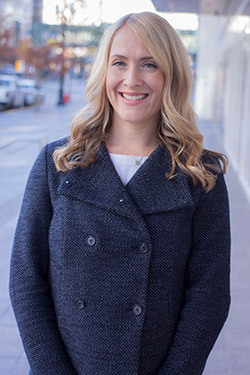 Prior to joining United Way, Stacey worked as the Operations Director at Utah Health Policy Project for four years. She received a Bachelor of Arts from the University of Utah, has certificate in Human Resource Management, and is a member of the Society for Human Resource Management.